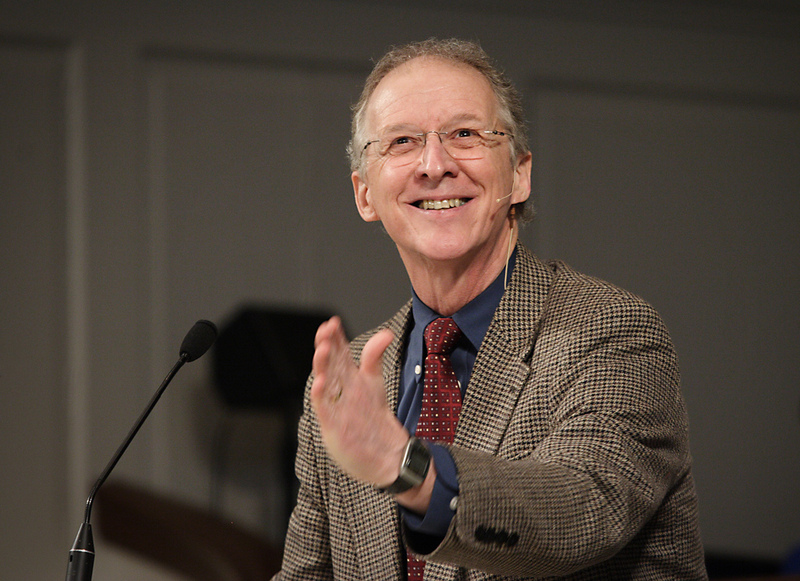 Posted on March 9, 2012 October 31, 2017 by Marty Schoenleber, Jr.
John Piper has recently come in for some criticism for a post on the Desiring God website related to the tornadoes that swept across Indiana, Kentucky and Illinois. You can read what he wrote here. I heard from a facebook™ post that there was a controversy “all over” the blogosphere about the post. I read two of the critiques before I went and read what Dr. Piper actually wrote in context. John Armstrong’s critique attempted to be very gracious while offering a challenge to both Piper’s theology and his pastoral sensitivity and timing. Over at Internet Monk, “Chaplain Mike” had another take on Piper’s “tornado perspective” that was far less conciliatory and much more confrontational (see here). My questions as I went to Dr. Piper’s actual post was, are these critiques fair and what did Piper actually say? Full disclosure: No living person has a more profound effect on my own life and ministry than Dr. Piper. I have been helped through crisis, counseled in worldview, inflamed in my passion for Christ and the gospel, and humbled by his God-entranced vision. Some years ago, I had the privilege of being the speaker at Bethlehem Baptist Church’s men’s retreat and sitting down with John to discuss church planting, the gospel and ministry. I am, through these experiences predisposed to give John tremendous benefit of the doubt in these types of controversies. My assessment of the controversy? I don’t think the criticisms are fair with regard to context. I don’t think the criticisms are fair with regard to the person. I don’t expect John to defend himself one way or another. Let me pick up these points in reverse order. Defending Himself: In over 25 years of observing Pastor John in the various controversies that he for one reason or another has been a part of, I have never seen him defend himself against his critics on a personal level. He simply won’t do it. He will defend the gospel. He will argue for how he understands Scripture. He will defend the God he sees in Scripture. But he simply will not defend himself against those who question his motives, his heart, or his “pastoral timing” (see the internet monk critique). John’s assumption as to all of these is that he is both fallen and fallible and there is little gained and much lost when we defend ourselves on these issues. Fairness with Regard to the Person: Consider the source, would be my counsel to those who critique John on his “tornado post”. John is 62, moving toward the declining powers years of his ministry, a cancer survivor, and possessed of an artistic/poetic bent, a melancholy (perhaps not the best word) spirit, and a Puritan “blood-earnestness” in all of his pastoral care and preaching, compelled to warn people of hell and hold out to them the glories of Kingdom of heaven in the gospel. If you are going to critique the man, please, as a gracious and kind brother or sister, take this into account. Fairness with Regard to Content and Context: Dr. Piper sought to address big picture/ultimate issues, not the pastoral, arm-around-the-shoulder issues of a suffering human being. What can we learn about suffering and God’s ultimate purposes in it? At that level, he turns where I think any of us would turn, the book of Job as his first stop. Job is the model of a righteous man. What do we learn from him and his interaction with God? What is inappropriate in that? If we don’t like the book of Job’s answer, that is our problem but not God’s and certainly not John Piper’s. I want to remind those who critique John Piper that his answer is exactly the answer Jesus gave. Are you going to castigate Jesus for his insensitivity too?! And finally, Piper makes the point that we are not in a position to counsel God on his motives or means to accomplish his will. He says we cannot fathom God’s judgments. He talks about the mystery of what God is doing at any moment. He acknowledges that we only see a fraction of what God is doing at any given time. So my brothers, when I go back and examine the actual post by my brother from Minneapolis, I find no reason for you (plural) to make or attempt to draw brother John into your controversy. 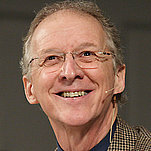 It is you, not John Piper who is creating the controversy and you ought to leave it alone. Update: If you can, try to get a hold of the transcript but even better, the audio of Dr. Piper’s interview on National Public Radio when the tornado hit and listen to the compassion, gentleness, and sensitivity that John displays over these issues. Sometimes this is lost in the transcript and needs to be heard. Second, listen carefully to the tone of the interviewer’s question. At first, there is a slight edge, but by the end, the interviewer is asking for Piper’s counsel in a very personal way–she wants to know what she should do! It is really a remarkable interview. Only about 30 minutes long. Thank you for your wise and irenic response; truly an eager effort to maintain the unity of the Spirit in the bond of peace. However, one bone to pick regarding your statement, “John is 62, moving toward the declining powers years of his ministry” might be debatable, especially by someone who is looking forward to his 75th birthday in two days. I, and I would be surprised if Dr. Piper does not agree with me regarding himself, am progressing through an ever-increasing period of richness in my ministry. Not declining, some changes in direction and scope, but growing in the Lord. I agree with you, but John doesn’t. He describes himself this way. He is planning for succession, looking to write more (good grief! ), changing directions (he no longer is writing his Christmas poems because he says he doesn’t have the same energy for them, etc.). For my part, I hope that both John and you outlive me and continue to go from strength to strength and mentor many into maturity. May God continue to bless you with both health and power for the king. Again, thanks for the post…good stuff. I do believe that when the Holy Spirit speaks to us about “all things” He does mean ALL things not some or most or … ALL things are under the feet of Christ. It is usually an appropriate time to do a Lieutenant Colombo imitation and admit that there is much that I don’t understand. However, I am convinced that God does work for the good of all who love Him and who are called according to His purpose. Furthermore, I am convinced that I am included in both those categories. Amen John! The Lord ‘working’ Good out of it…regardless what ‘IT’ is. (Great comfort for sure.) But are ALL things “Good?” IOW, should we ‘always’ say “God did it” or that it is the ‘Hand of God?’ Seems like we set ourselves up for an unavoidable stoic or fatalistic worldview if we do. Anyway…thanks Brother! How about saying, “God allowed …” An example, God allowed Satan to abuse Job but just look at all the good that did come and continues to come from that event. It’s a poor man indeed who has never taken comfort from Job’s story. Jesus seems to approach the storm not as a power outside of his control but as a test to their faith in God. He didn’t say at the beginning of of the journey, “Boys, let’s go out to the middle of the lake and drown.” He said, “Let us go to the other side of the lake.” With or without the storm, Jesus said they were going to the other side. There is nothing in the text that says the storm is outside of the Triune God’s control. In fact, when Jesus “rebukes” (It would be interesting to do a word study on how this word is used in the time period), he demonstrates power over what the disciples had feared. Haven’t had time to do that but it would be interesting. I would appreciate your prayers over the next few weeks. My wife goes to visit her cancer-fighting mom and her last chemo treatment. I am doing some training of church planters in Racine, WI and have a significant preaching load to study for as well. Pray for Steph’s safety, her mom’s health and healing, and my impact.